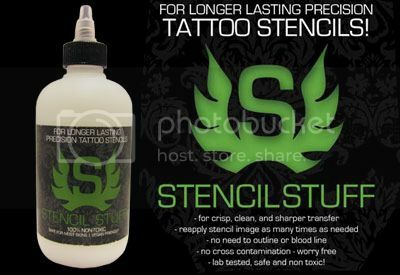 As a tattoo artist, it’s also important to protect your work from the fading and discoloration that can affect tattoos if they’re not properly treated. Although it’s not possible to make sure your clients are consistent with their aftercare routine, you can suggest the right products that will heal and protect your artwork that they wear. 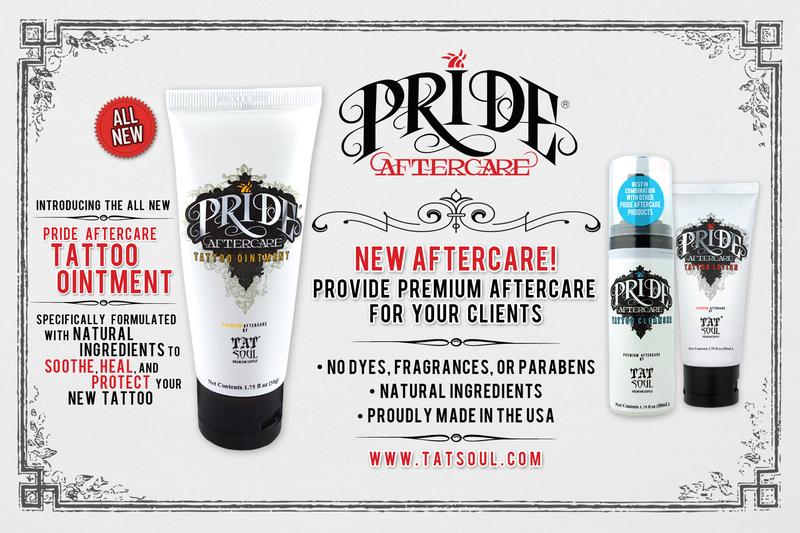 Pride Aftercare by TATSoul has a three step system to cleanse, heal and protect new tattoos. The cleanser, ointment and lotion are specially formulated with natural ingredients to work together for best results. 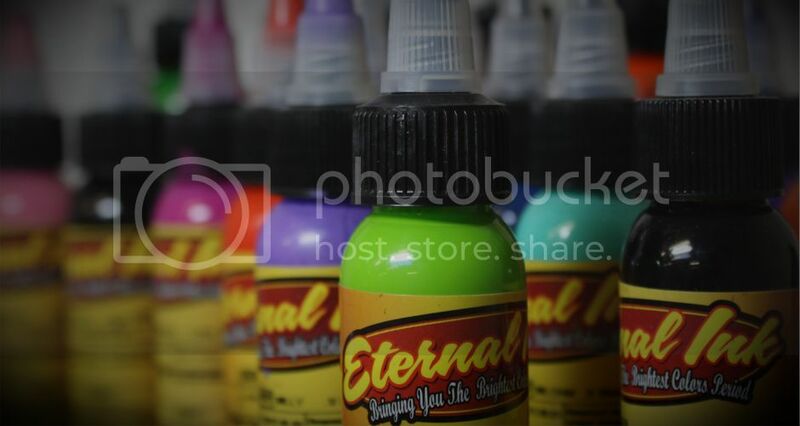 The latest addition in Pride Aftercare’s system is the Tattoo Ointment. Pride Aftercare Tattoo Ointment is specifically formulated to heal tattoos so you can be assured that the gentle ingredients will in no way affect the new ink. Unlike other ointments, Pride Aftercare’s oil remains intact, allowing for better consistency and protection (see below). Pride Aftercare’s Tattoo Ointment contains no dyes or fragrances and is approved by tattoo professionals and skin care specialists for its moisturizing and anti-aging ingredients. It may also be used to treat minor skin irritations. Whether it’s your own tattoo or a piece you’ve just completed, make sure to treat it with the Pride Aftercare system to cleanse, heal and protect your new tattoo. Keep your work remaining vibrant for years to come. I am going to write this review as a dual review, both the liner and shader at once. 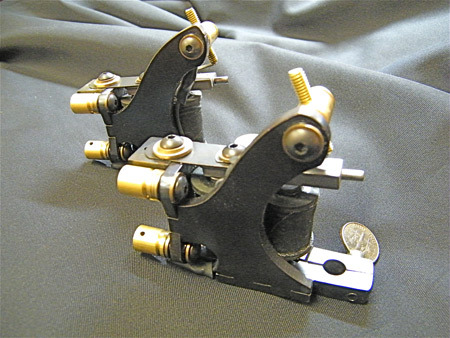 We recieved the Veritas Irons Sage Liner and Shader tattoo machines as our first set of machines for review. I have put them through a few months of daily wear and they are smooth running machines that are solidly built. Hard hitting no joke daily money makers i would say. Upon arrival the liner was dead. I was a little concerned, but a quick call to Greg and he had it figured out that during shipping the top rear binding post had spun loose, this is where he admitted a design flaw, the rear upright is so close to the allen wrench screw that you need to cut your allen wrench short in order to get it in there. Pretty cool that he was humble enough to point out a flaw and say he has addressed it in his new deisign of this frame. 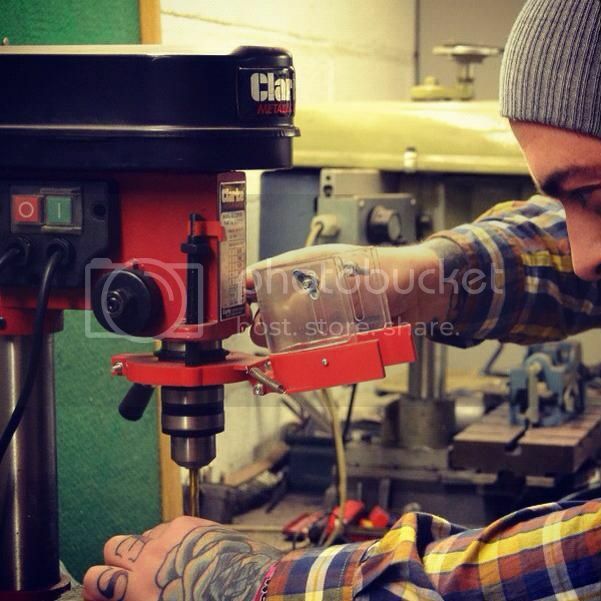 In a fairly brief conversation I could tell that Greg knew what he was talking about regarding tattoo machines and obviously building them..
Theses tattoo machines have a fairly unique design, with each piece being separate then dovetailed together with a weld from the inside. At first I was a little thrown off by this but after putting them through the rigors of daily use I can say them seem solid as all hell. When I spoke with Greg , he said he cnc machines all the pieces and created a jig to fit everything in place. Most of his parts (binding posts A, bar, etc.) are prefab from a supplier here in mass. 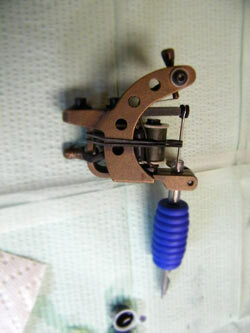 One criticism I have with this design is the gap that is created by the rear spring deck, it seems to be fo a few millimeters difference from the rear upright to the actual rear deck and at such a crucial point of any tattoo machine, I feel like it could cause undue tension and fatigue on the spring. A quick plane of that area after the weld could alleviate that “problem”. Techy stuf:Frames are blued steel, great finish! Sidewinder rear shooting style rear binders. 8 layer coils on both machines, the shader having one and a quarter inch coils and the liner has one inch with a quarter inch yoke. .018 front and back springs on both setups. 22uF35v capacitor on both machines. The liner runs 8.9volts @ 120hz 43% duty , and the shader runs 7 volts @ 100hz 46% Duty as taken off of my critical cx-2 power supply. Short snappy stroke on the liner and a medium/long stroke on the shader. I pushed everything from a 5 mag to a 15 mag in the shader with out any problems what so ever. The liner runs beautifully with 5’s , 7’s and 9’s, I usually don’t go any bigger then that so I couldn’t tell you if it can handle a 14, althought it seems to me it would not be an issue for this powerhouse. 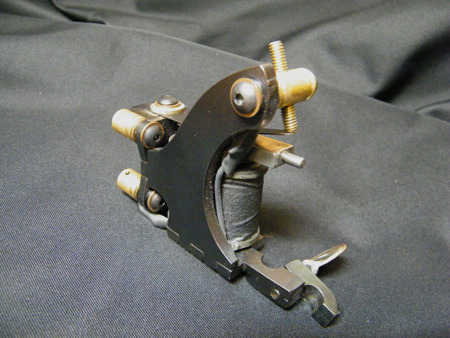 A unique vice grip setup on both tattoo machines where he cut a slot so the right hand side of the vice clamp is free floating held in place by the vice screw. It works like a dream for disposables and has me eyeballing some of the problem machines in my collection, although Greg strongly advises to let a pro do it, as you can seriously alter how your machine runs if you start hacking away at it! 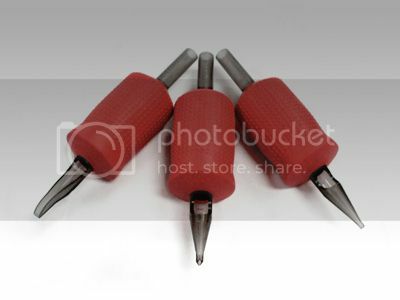 The vice screw is one point of weakness I see, I have gorilla mits and tighetn things harder then I realize at times, and I can see already that the dimes used for the vice screws are bending the weld is rock solid, its just the flimsy american money that cannt hold up. As far as criticisims for this machines I have a few small ones, but they are simply based off of personal preference . First like I said was the vice srew, secondly I would have to say that the fact that the contact screw has nothing on top is troublesome. 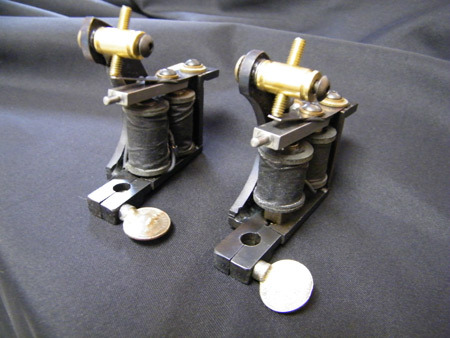 I usually have to turn a tattoo machines contact screw after three to six months and with nothing to hold on to that could hurt. Another thing is the shader’s front coil could use a .025 shim in my opinion, the rear coil is close to the point of almost touching and I could see with a solid 6 months of wear and tear on the front coil top, where you could run into an issue. The front coil is not perfectly parallel with the bottom of the machine, seems to be leaning forward a tad, I think that a shim thrown in there would get the coil off the wire a bit more, increse levelness and help out a ton. Finally I would say that the coil holes being slotted makes no sense, not like you are going to move them forward or backward of where they are . The fact that there is a slot from the back point of the vice hole to the front of the first coils slot seems to make an undue weakness in the frame. Again these are all just personal preferences. All in all, I think these unique machines are smooth steady runners. Greg knows what he is doing and from a few conversations with him he already identified a few of the things i brought up so you know with every machine he is just getting better and better. Well worth the money i would surely keep using these machines for years on end. Check out veritasirons.com and unionsupplycompany.com for more info. Artist Billy Hill reviews the Eikon EMS 400 Power Supply. As with most comparisons, there are pros and cons. 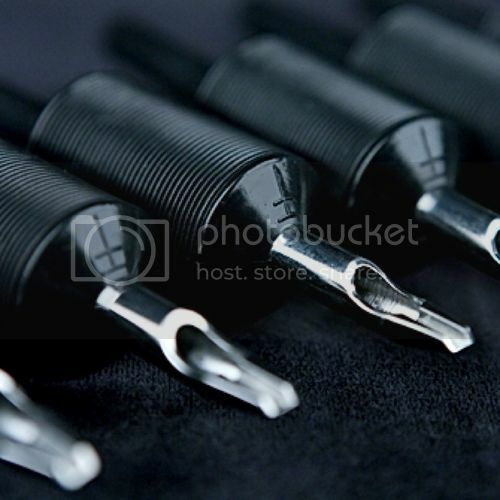 Such is the same when looking at the difference between disposable tattoo tubes and stainless steel tubes. On the side of steel, there is durability, stiffness and re-usability, provided they are properly cleaned and sterilized, plus the ability to change out any worn parts or change grip size. 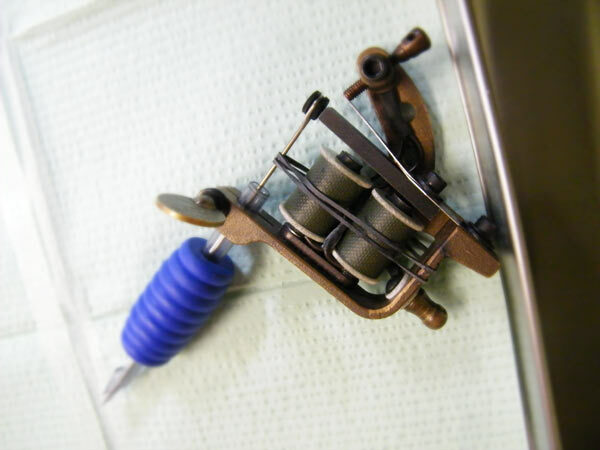 Some artists feel that the weight of steel tubes helps to balance out the weight of the tattoo machine and provides the artist with a better view of the needles at the tip of the tube. The negative side of steel tubes starts with their need to be properly cleaned and sterilized, which, in most tattoo shops, can be one of the dirtiest and most dangerous jobs we encounter. Already laden with biohazardous fluids, there are chemicals in cleaning solutions that can be harmful to one’s health. Ultrasonic cleaners are full of a combination of many people’s blood and body fluids as well as dangerous chemicals, and they carry a very real risk of getting this mess on or in your body. Ultrasonic cleaners work by generating high frequency sound waves to agitate in a solution of water and chemical cleaning compound. Cavitation bubbles are induced by agitation on contaminants adhering to the tubes, with the intention of thoroughly removing tightly adhering or embedded particles of ink and body fluids from the solid surfaces of the instruments. This process causes microscopic particles to become airborne and cover everything within proximity of the ultrasonic, contaminating everything in its path, including any person near it, the walls, counter tops, floors and ceilings. Consider the chance of getting any of this into an open wound or mucus membranes such as your eye. Whether from splash, splatter or particles floating in the air and filling your lungs, this is something that can be potentially harmful to your health. Steel tubes need to be maintained not only by proper cleaning and sterilization but by regularly filing the inside of tube tips, especially in the case of shader tubes, to remove the grooves that form from the needles wearing via friction of metal on metal during the tattoo process. 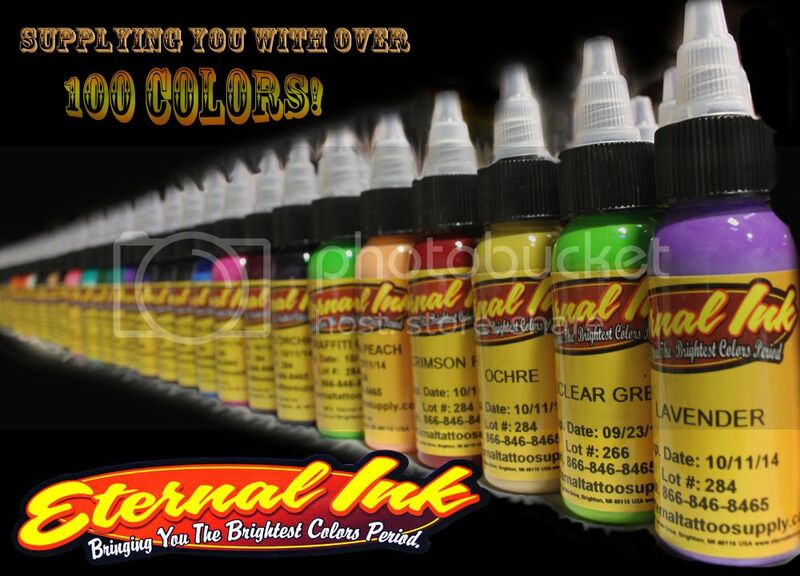 These metal particles mix with the ink, are pushed into the tattoo and can contaminate and muddy your colors, most notably yellows and whites. The added weight of steel tubes, especially when using large metal grips, can create fatigue on your hand and help lead to problems such as tendonitis and carpel tunnel. While any repetitious job can perpetuate health issues, the extra weight of the tubes can significantly contribute to the problems. While traveling for conventions or guest spots, steel tubes can be cause for alarm—especially when going through airport X-ray machines—and your luggage to be overweight and be the source of cross contamination, when coming home with dirty tubes. Pros to using pre sterilized disposable tubes include the lack of added weight and fatigue on your hand and the ability to discard the used tube, when you are finished, potentially eliminating the need for ultrasonics, autoclaves and even a sterilization area all together. It makes health department inspections so much easier and can create hours of extra time in an artist’s work week, for things such as doing more tattoos, which equals making more money. 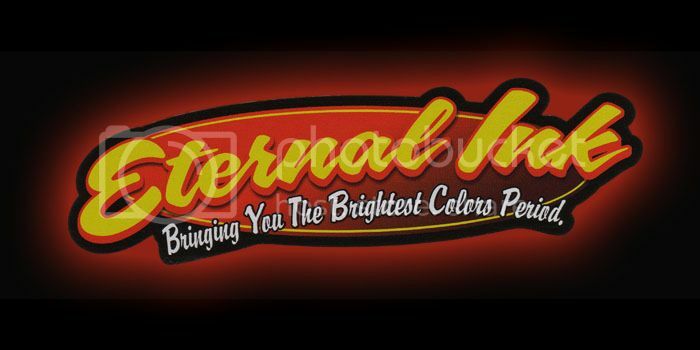 Your clientele may appreciate and feel more at ease knowing that they are being tattooed with new and disposable equipment. A great variety of disposable tubes are available to us at very reasonable price, sometimes as cheap as twenty cents each. When you compare the low cost and simplicity of tossing the tube away after the tattoo with the fact that you can do away with supplies such as autoclave bags, cleaning solutions, spore tests, scrubbing brushes, distilled water and equipment such as ultrasonic cleaners and autoclaves, not to mention the upkeep and maintenance on them and the added man hours it takes to perform the tasks of cleaning, scrubbing and sterilizing ,while factoring in the reduced risk of contaminating yourself and the shop, twenty to seventy-five cents each is a bargain. The cons to using disposable tubes include inconsistent manufacturing such as bad tips where extra plastic can block the hole or tube stems that don’t fit into the tattoo machine or are weak and flex with the weight of the machine. Some artists feel that the vibration of the machine is increased by the use of plastic tubes. The tips on some disposables can be awkward or thick, making it more difficult to see exactly where the needle is in relation to the skin. There is also the issue of potential harm to the eco-system, due to the added plastic waste in landfills, from all the discarded tubes, but, with proper disinfection, they can be recycled along with other plastics. 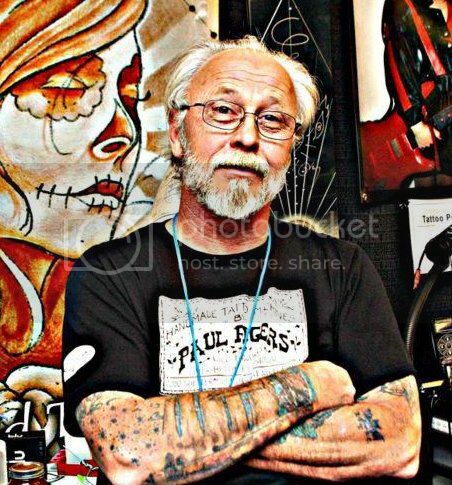 Old-schoolers might argue that, by using disposable instruments, you ruin and tradition and integrity of the industry, especially in the case of apprentices not paying their dues and learning all the ins and outs of tattooing history. 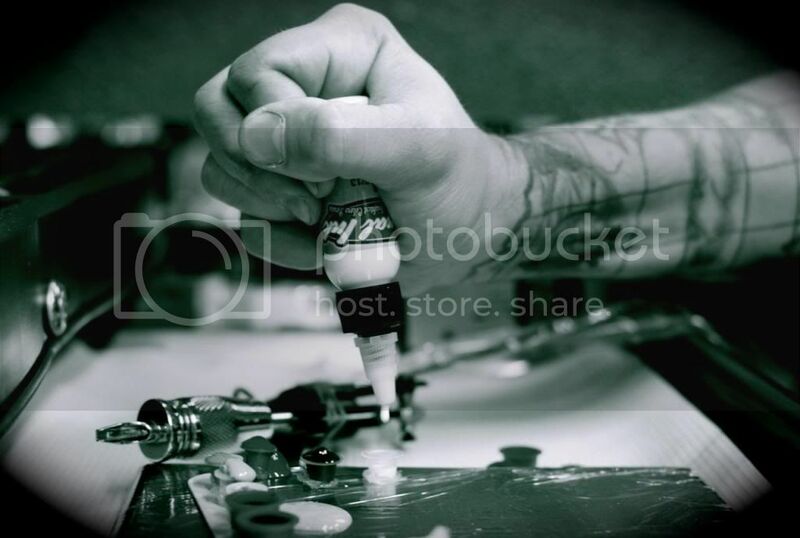 But if you really want to get old school, keep in mind that tattooers used to tattoo people for days and weeks using the same dirty needle and tube on scores of clients. There are many styles of disposable tubes available to us today, some great and some not worth the plastic they were molded from, but, through testing and trial, you can find the right one to suit your needs. I strongly urge anyone trying disposable tubes for the first or even fifth time to try as many different kinds as it takes to find one that you are happy with and do several tattoos with them until you find one that fits your needs. Many artists have tried them once or twice and given up before they had the chance to really get a feel for it. As with any new tool, there is a learning curve and it takes a little time and practice to get used to it. 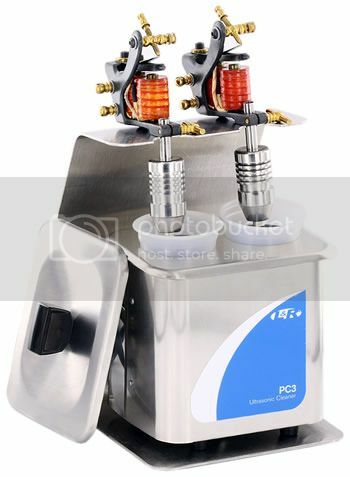 Note: Eliminating the ultrasonic cleaner and autoclave from your shop should only be done when using a completely pre packaged and pre sterilized set up of disposable tubes and needles from a reputable supplier. 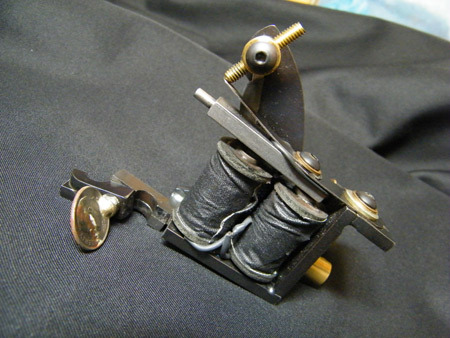 If body piercing is performed at the shop, these pieces of equipment may still be a necessity.